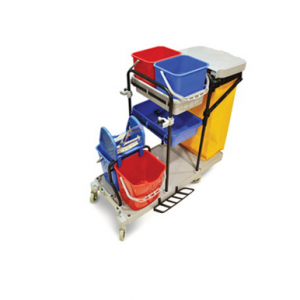 HI-CARE offers finest quality Mop bucket trolleys to enhance the experience of floor cleaning. 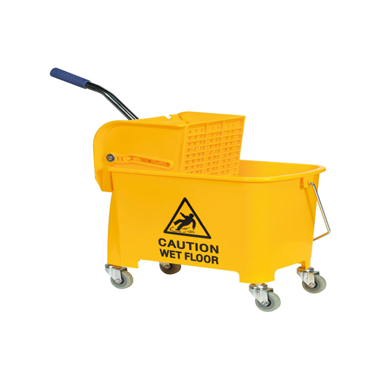 Being the top Mop bucket trolley supplier in Qatar, we deliver to our customers the most easy and practical solution for mopping the floors. 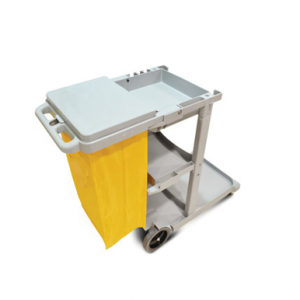 We supplies a wide range of Mop bucket trolleys and accessories such as multifunctional janitorial carts, single mop bucket, double mop bucket and wringers. 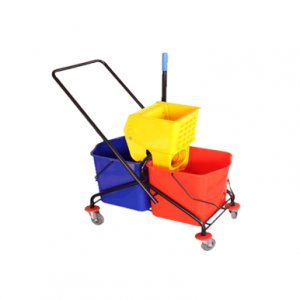 Our mop bucket trolleys are very useful for both domestic as well as industrial cleaning purposes as they can reduce the mopping and squeezing work load. 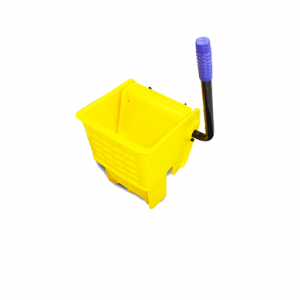 The wringers attached to our mop bucket trolleys are available in both plastic and steel. When compared to traditional hand squeezing method, one single push on the wringer can squeeze out major part of the liquid from mop cloth without any mess. 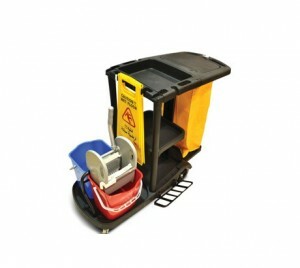 The bucket part of the trolley contains the contaminated liquid and is very convenient to dispose off. Our mop bucket trolleys are available in different colors and sizes satisfying our customer’s requirements. Due to the grade of plastic used in the manufacturing process, they can resist a lot of chemicals. They are obviously a must have to your floor cleaning routine as they will reduce your work load almost by half.